HomenewsUncategorizedArt made by AI is selling for thousands – is it any good? Art made by AI is selling for thousands – is it any good? After a piece of art ‘created’ by an AI sold for $430,000, Thomas Graham looks at what the age of the machine means for art. Art made by AI- Earlier this year, a cryptic press release landed in the inboxes of journalists. Black and white, stylised like the ‘game over’ screen from an arcade game, it intoned: “CREATIVITY IS NOT ONLY FOR HUMANS”. The makers were a French trio known as Obvious, and their claim was that their artificial intelligence (AI) had managed to create art. It was the first of a stream of publicity that heralded the auction of an uncanny portrait. Christie’s had been expecting less than $10,000 (£7,800). In the end, it fetched $430,000 (£335,000). The portrait itself looks grainy and unfinished. Squint, and it could almost pass muster in London’s National Portrait Gallery. Eyes wider, it is vague and strange: a round white face emerging from a murky canvas, with three dark areas that suggest two eyes and a mouth. The ‘brushstrokes’ seem pixellated. In the bottom right corner, the signature is the algorithm. So, is this how a machine ‘sees’ us? Perhaps, stripped of the biases of human perception, this is what we look like. – Can art change the world? The portrait was billed as the first piece of AI art to be sold at auction, catapulting Obvious into the media as standard bearers for a new kind of art. The marketing had tapped into anxiety about AI to whip up excitement, though they only had to make the gentlest suggestion for people to lose their minds. Panicked questions rang through the media. Was this art? Who is the artist and the owner here? Are machines now creative too? All valid questions – but premature. The technology is nowhere near advanced as Obvious implied and the public is fundamentally confused about what AI is, and what it is capable of. And Obvious’s marketing took lucrative advantage of that. AI art has been around for 50 years, but the Obvious portrait is part of a new wave. In the past, people using computers to generate art had to write code that specified the rules for the chosen aesthetics. By contrast, this new wave uses algorithms that can learn aesthetics by themselves. Then they can generate new images along those lines using, for example, a Generative Adversarial Network (Gan). The signature in the bottom right of the Obvious portrait is the Gan algorithm. In essence, instead of having one network working alone, you pit two against each other. It mimics the interaction between a forger and an art detective. They are both trained on the same data set to learn its aesthetic, then one generates new images – trying to imitate what it has been shown – while the other judges whether or not they are real or fake. When the forger is found out, it adapts. And so it goes, until the detective can no longer tell what’s genuine and what’s bogus. The image sold at Christie’s is one that got through. But it wasn’t the only image the AI produced. In fact, it is just one of almost infinitely many it could produce. It was the trio behind Obvious that chose this one because, for whatever reason, they deemed it apt. And they intervened at other steps in the process, too. They programmed the AI to start with, and then they chose the 15,000 portraits to train it on. Signing the painting with the Gan algorithm was a cunning bit of marketing – in no sense did the AI produce the painting on its own. In fact, it isn’t even their AI. In the fallout of the Christie’s sale it emerged that the AI was actually the work of another artist, Robbie Barrat. 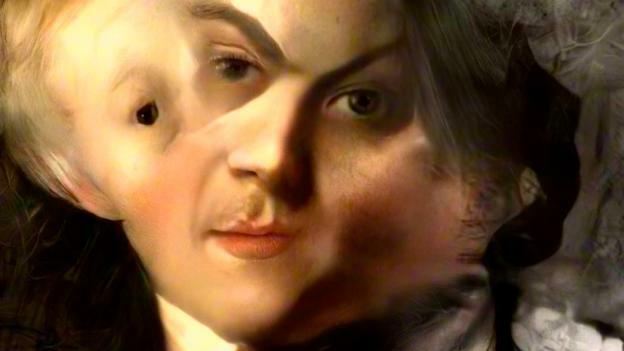 He had programmed it, trained it on works from Wikiart and used it to generate very similar portraits, before he posted the code online with an open-source licence, so others could use it freely. So not only is the Obvious portrait not attributable to the AI – it’s not even really attributable to Obvious. Knowing this, the frenzy around the Christie’s sale deflates. The AI did not produce the artwork alone, and it is not creative in any human sense. It’s certainly not what’s called artificial general intelligence – the kind of machine we see in science-fiction films that is sentient, goal-driven and thinks for itself. But it is a tool that does interesting and unexpected things, and dozens of artists are using the same techniques as Obvious, but with imagination. The post Art made by AI is selling for thousands – is it any good? appeared first on erpinnews.